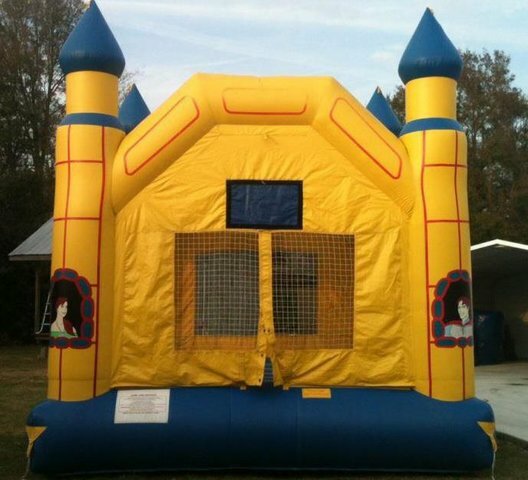 This huge yellow castle would be great for any occasion and kids of all ages. It’s the largest of all our bounce houses measuring 15 ft x 15 ft. This gives you 225 square feet of bouncing fun! Being only $100 a day adds to the excitement! Call us today to reserve this unit.